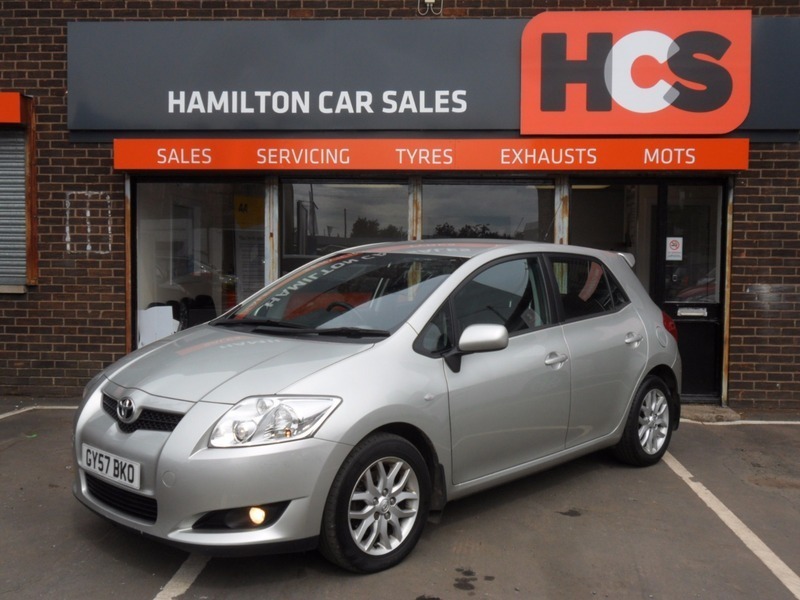 Toyota Auris 2.0 D-4D T3 5dr - £2,4000 p/x welcome & finance available. EXCELLENT CONDITION CAR. These cars offer outstanding reliability, an excellent drive & great value for money. This example has been very well looked after and must be seen! The Bodywork is in great condition, the interior is in very good condition also & the car has just been MOT'd with new front & rear brakes fitted. THIS CAR IS READY TO DRIVE AWAY TODAY!! Supplied with a 12 month warranty, 12 months MOT & 12 months AA Cover. £2,4000 p/x welcome & finance available. 12 months warranty, 12 months MOT, Service history, Excellent bodywork, Cloth interior - Excellent Condition, Tyre condition Excellent, Air-Conditioning, Alloy Wheels (16in), Alarm, In Car Entertainment (Radio/CD/MP3), Electric Windows (Front/Rear). 5 seats, Silver. HAVE HELPED LOADS PEOPLE GET THE CAR THEY WANT.